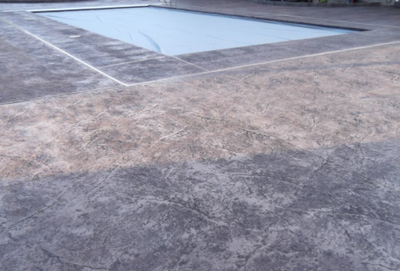 ​If you enjoy spending time with your friends or family on your pool deck but can’t because of its appearance, give us a calla t Milford Stamped Concrete. 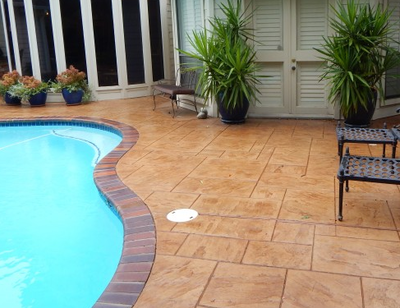 Perhaps you are about to have a pool deck constructed and have to decide about the design of it, consult with our stamped concrete professionals. 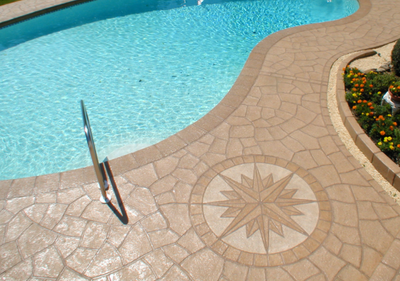 They will provide you with a variety of beautiful options for your pool deck. 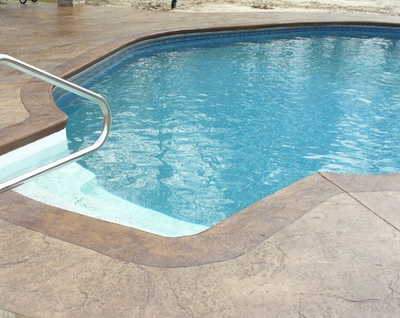 The pool decks that are constructed by our team of experts are constructed of the best materials possible. Contact our knowledgeable associates to discuss your many options. 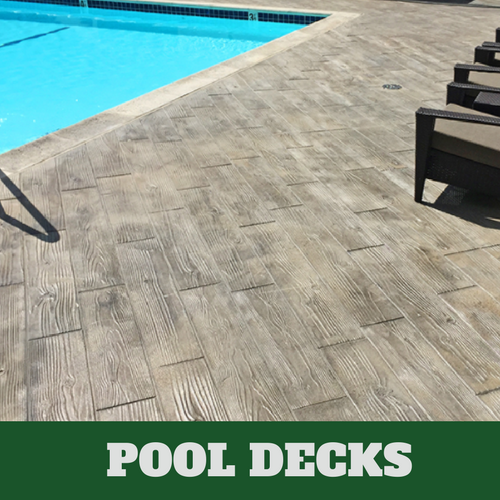 We are able to help you improve the look of your existing pool deck or help with the appearance of a newly built pool deck. Let us give you the look that you’ll love now and for many more years. 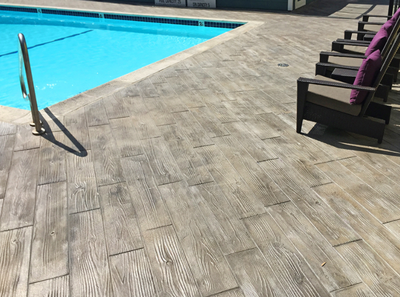 When you consult with our associates, it is true that they will present you with a variety of stamped concrete options, which can make it challenging to decide on anything. 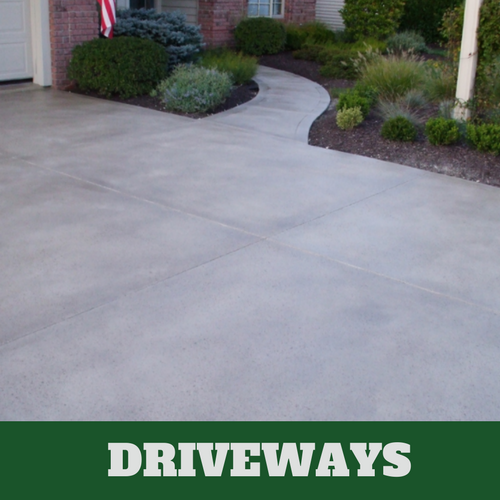 When you call on Milford Stamped Concrete for your service needs, you’ll be able to receive help from the most helpful associates possible. Our associates help make the decision process easier by consulting with you about the various options that are available to you. With the variety of options that are offered, you are certain to find what you want and need right here. 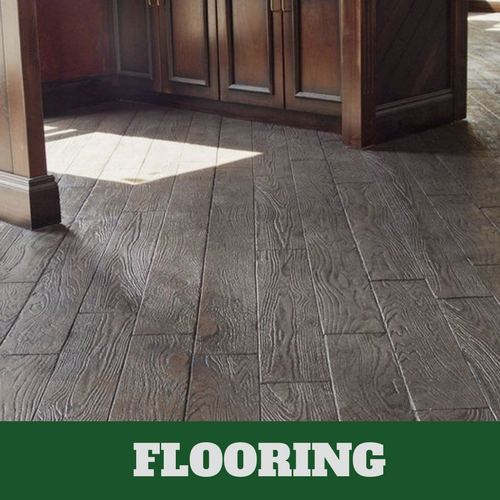 We assure you that with the skills and qualifications of our contractors, they will be able to provide you with the look that you are looking for. 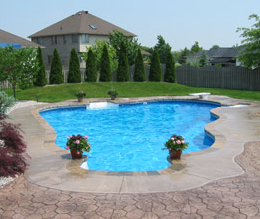 It is true that there are chemicals, which are used in and around your pool. 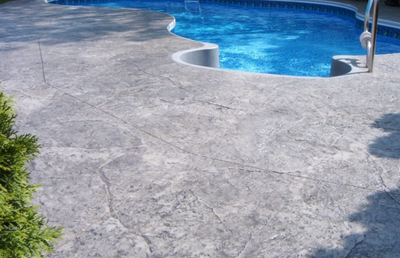 These same chemicals can be harmful to the exterior of your pool deck. If you start to notice your deck eroding, this could be due to some of the chemicals around your deck. 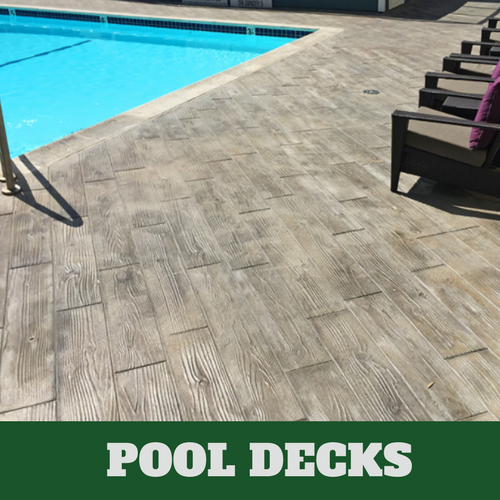 Our contractors are aware of the damaging effects of these chemicals and that is why they make sure they take the necessary time to properly seal your deck. 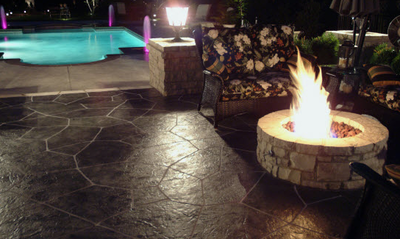 Being able to prevent erosion is only one advantage of stamped concrete. 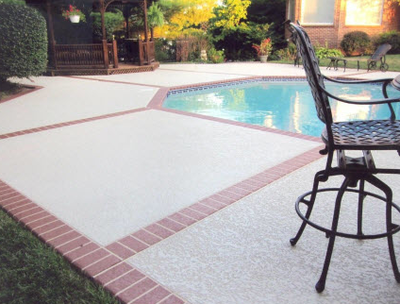 They can help with the traction of your deck, making it difficult for anyone to slip and fall. A light stain can be applied to prevent the bottom of your feet from burning. The advantages are numerous. 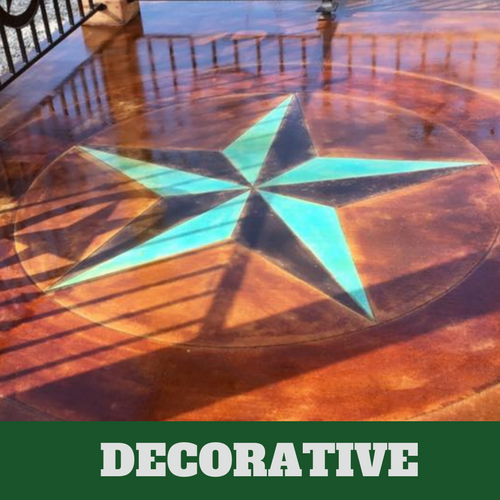 To learn more about the many advantages that stamped concrete provides, contact our helpful associates for a complimentary consultation. 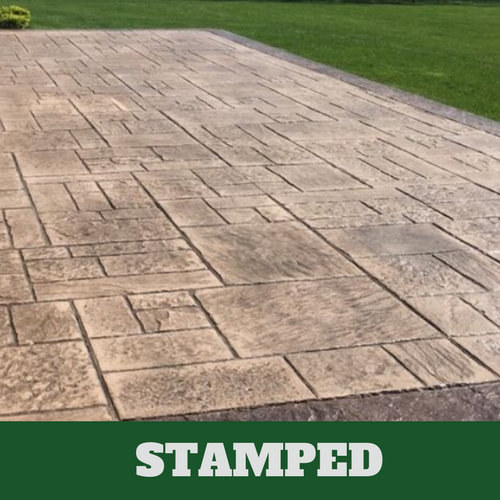 We will make sure that you receive what you want at Milford Stamped Concrete. If you don’t know exactly what you want, we’ll show you some of your options, within your budget. Our aim is to make sure that you find something that suits your preference since you are the one that has to live with the final decision. 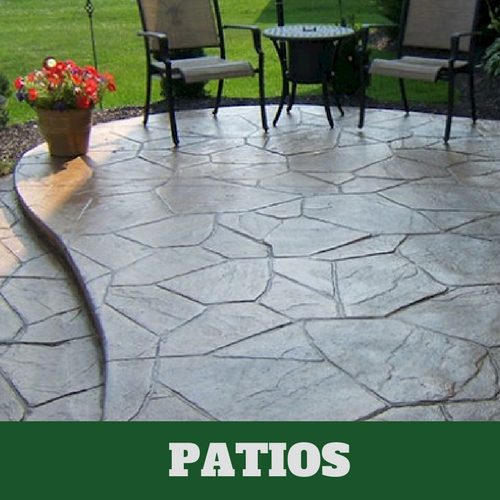 Give us the opportunity to show you why our stamped concrete services are preferred to others in the area. We offer you our service guarantee.